The #uksnow settling on Abingdon. Pristine and fresh, not yet too deep to stop runners. After a period of dry-but-cold weather, culminating in yesterday’s low of -7°C when I parked at work in the morning, Oxfordshire (and many other areas of the UK) has been hit by snow. It started falling around 3:30pm, and by the time the first club run of the year was scheduled to start at 7pm, the snow was settling and had started to fall stronger than before. Perhaps unsurprisinging, the turnout of runners at the club this evening was substantially lower than normal. However, the consensus amongst those of us who had gathered was that the conditions for running were reasonable, and so we set off on a relatively short, relatively slow run around Abingdon. 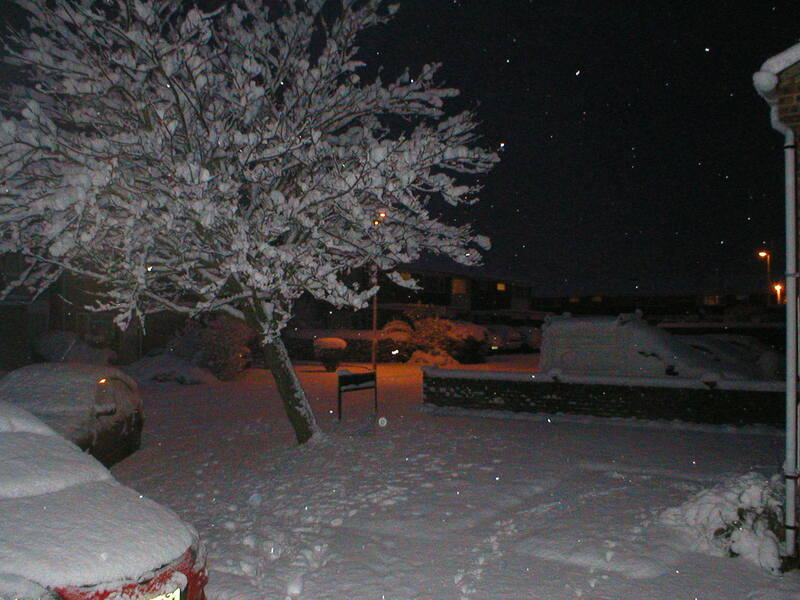 While the winter club runs have a reputation for being a little dull, snaking as they do through the various housing estates in the town, a smattering of snow and the glow of streetlights in the evening air made for a more scenic run than normal. Bizarrely, I would actually recommend running in the snow – provided that it is powdery and fresh, not compact and icy. I found that it was necessary to focus on my running technique in order to avoid skidding and to increase the efficiency of my gait. Essentially, if you are prone to turning your feet as you run (overpronation), you’re more likely to skid, so slowing down and focusing on landing solidly and without twisting makes for good practice. Make sure you go out with others to reduce the risk of injuring yourself without being able to alert anyone. Take extra care around roads – you’re on a slippery surface, and so are the cars. Wear a hat. Gathering flakes of snow on your head at the start of the run is very cold! 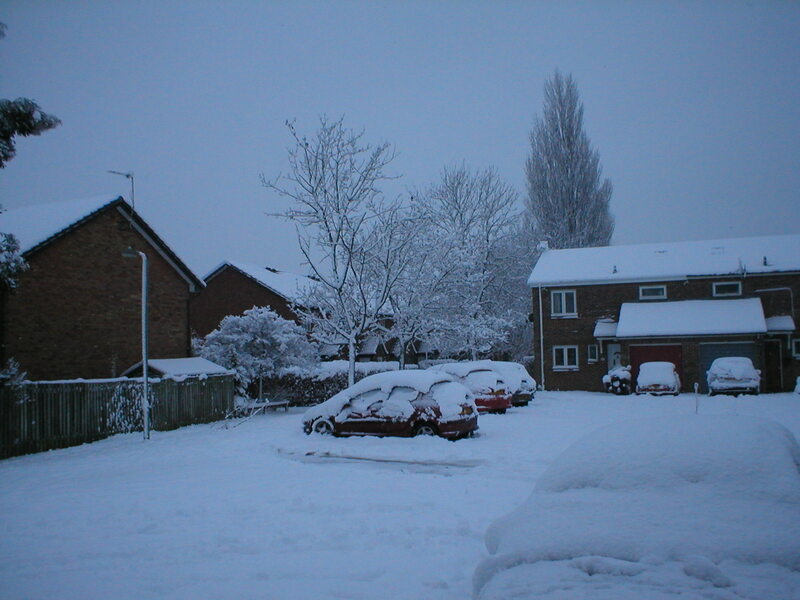 The snow continued overnight, settling deep. For the second time in as many years, I’m snowed in and working from home. (Of course, last year I should have been snowed in, but we perservered with the A34, which, on reflection, was a bad idea.) The chances of running outside today are pretty limited (see the photos below), and it’s likely that the track session on Thursday will be cancelled (if the council hasn’t gritted the roads – and they haven’t, rather worryingly – the chances of someone plodding round the track with a salt shaker are limited). Still, looks like the gym and the tedious-but-warm treadmill running will come into its own. 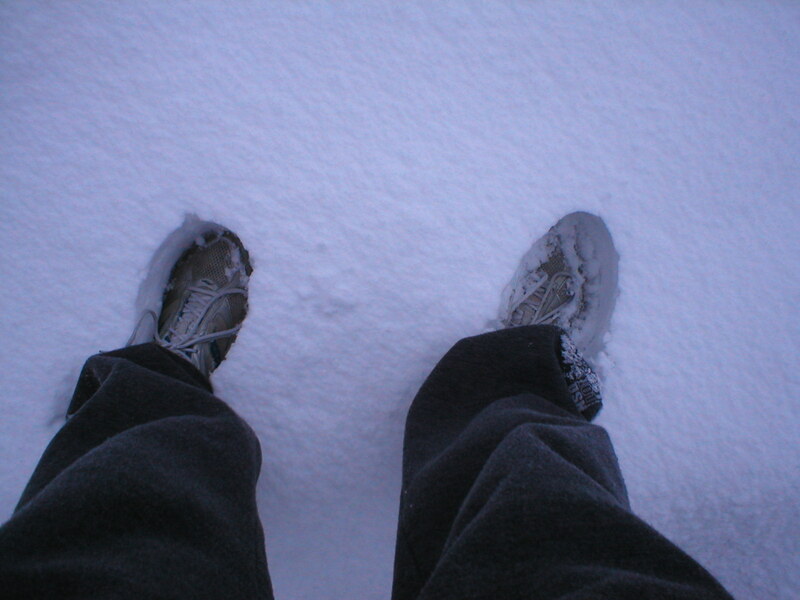 Deep, crisp and even - the #uksnow is rather deeper than I had expected. And here's why I'm snowed in. Notice the drift forming around my poor red Peugeot. 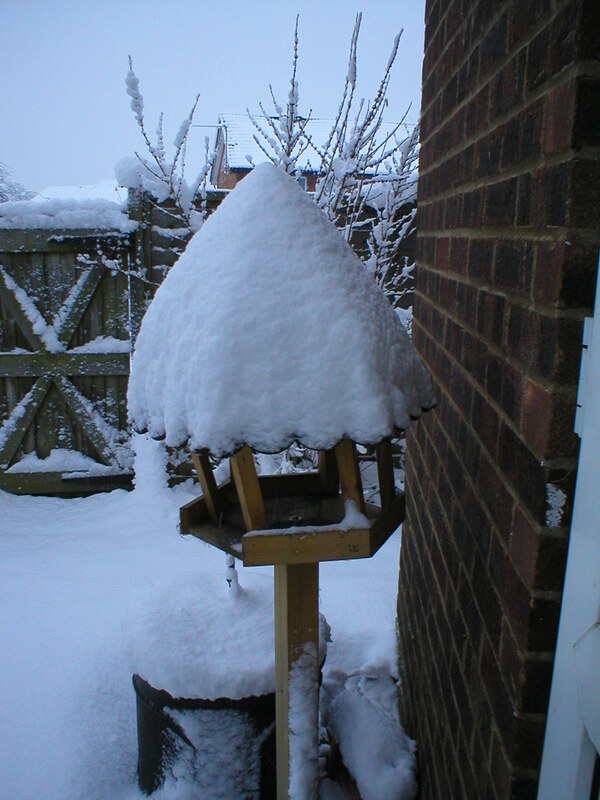 The #uksnow piled up on top of the bird table in my garden, buckling its already weakened structure.